Welcome to Rose Marie’s Park picnic and boat storage area. Named in memory of Rose Marie McClung, this property was generously donated by Ms. McClung to the Indianola Beach Improvement Club (IBIC) in 1990. The park is located just west of the Port of Indianola Dock and is accessed via stairs also belonging to the Port of Indianola. 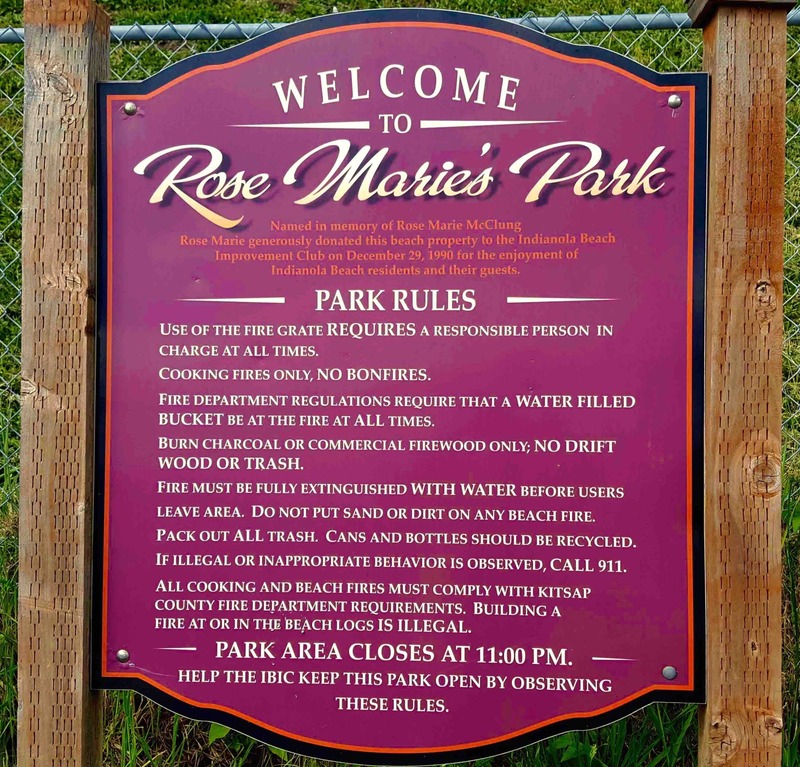 Please note that Rose Marie’s Park is a private park and is for the use of Indianola residents and their guests only. No overnight camping is allowed. 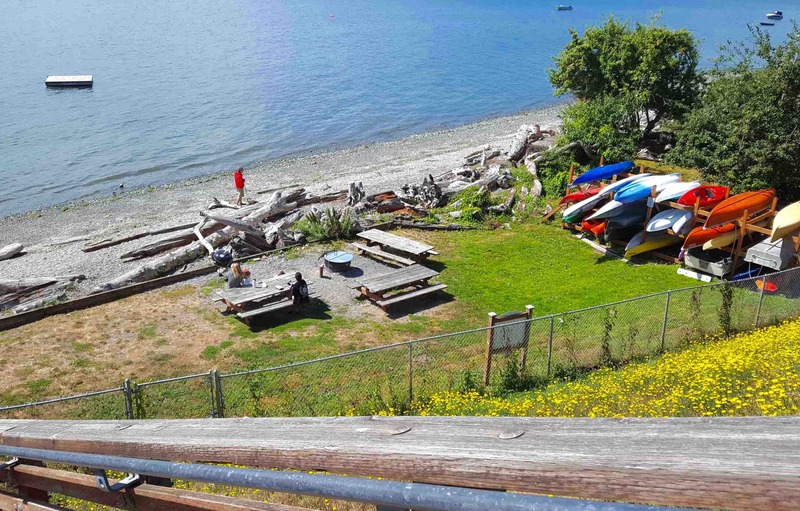 Beach fronts on either side of the park and dock are also privately owned. PICNIC AREA: Rose Marie’s Park is used as a picnic area with several picnic tables and a fire ring for cooking. Rules for use of the fire ring are posted at the park. 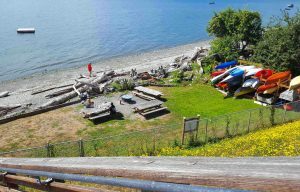 Bring your own firewood or charcoal briquettes as burning driftwood is illegal. No reservation system is available. PARK HOURS: Park is closed from 11:00 PM to 6:00 AM daily. Please note that the Port of Indianola Dock has the same hours for public use. Rose Marie's Park can always use extra care. If you are able to spend any time keeping it looking nice, that would be wonderful. So, the next time you see litter left, holes dug, rocks displaced, weeds growing, dog doodies left, storm debris washed up, anything you do to brighten up the park will be much appreciated. Thank you.